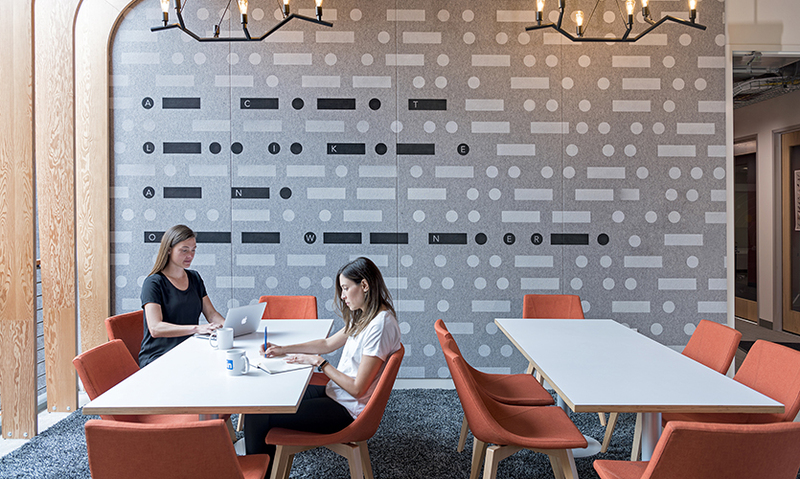 The graphics in LinkedIn spaces are meant to stimulate creativity, thinking and play; to promote cultural values; to help employees feel more aligned to their company vision; and ultimately to tap into the "why" that brings them to work every day. 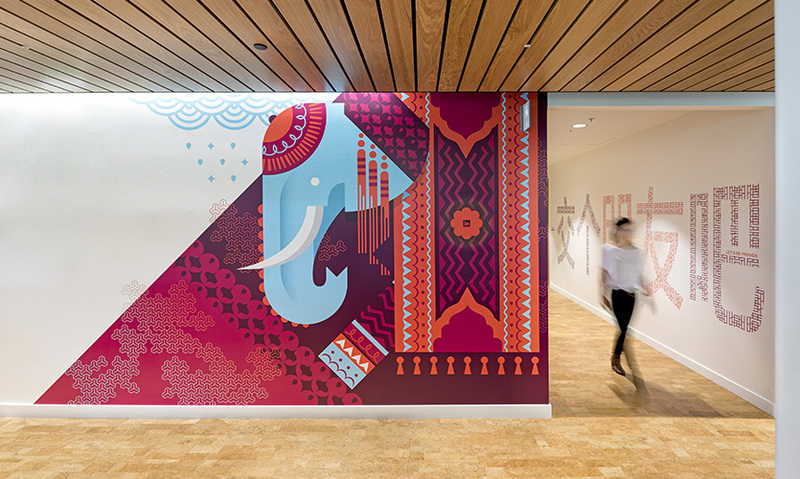 The design team brought the LinkedIn "why" to life by creating floor themes that speak to their mission of "connecting the workforce to global economic opportunity." 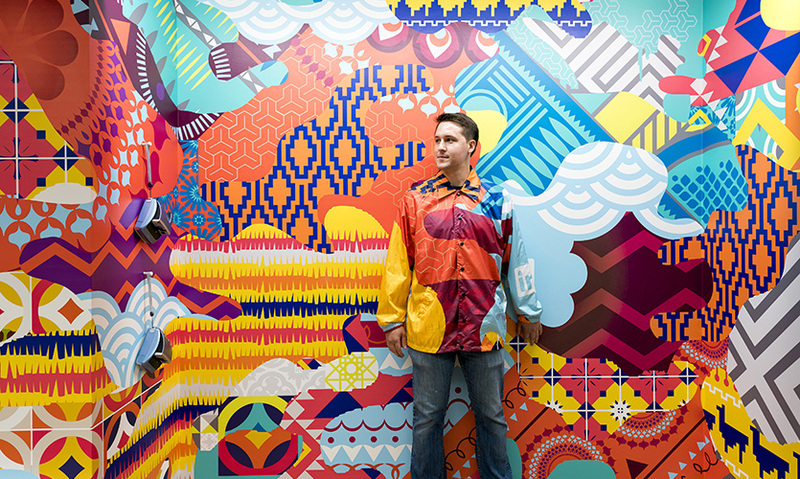 Using humor, wit and a touch of weirdness, the team created fun themes that reinforce LinkedIn’s global mission while also focusing locally. 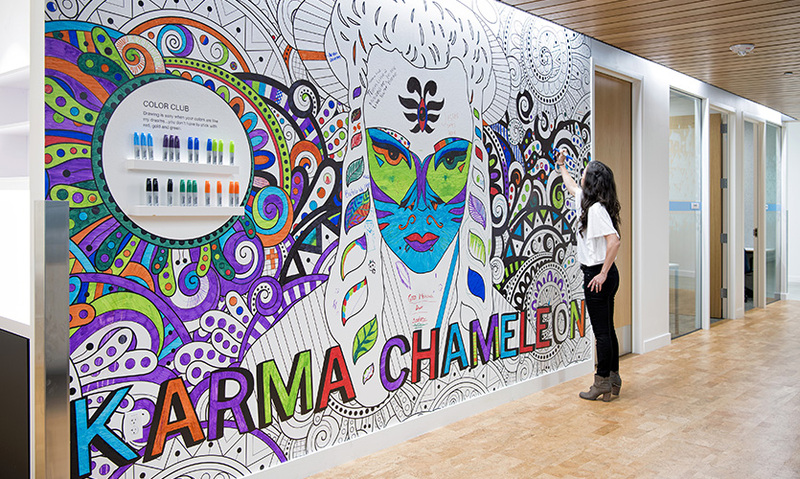 But instead of developing themes that take a traditional approach and rely on location-based information, the design team created themes per floor that tie directly to LinkedIn’s cultural values and tenets, bringing employees closer to the “why” and activating those messages through dynamic graphics. 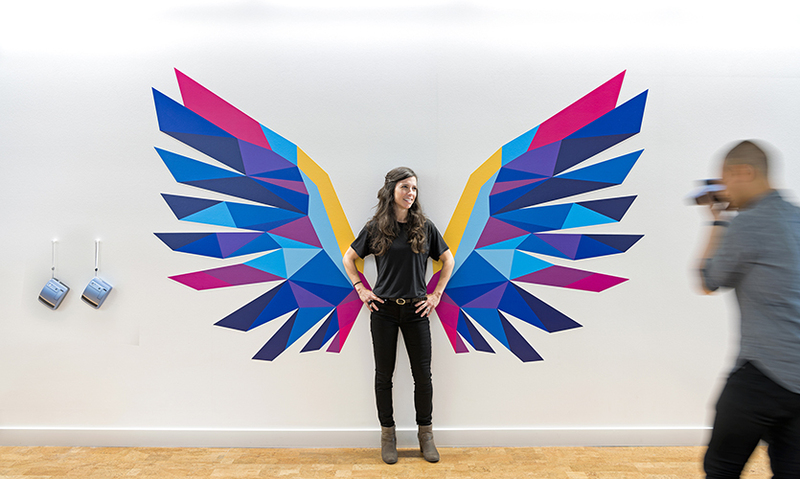 Working from those mission-affirming themes, the team created vibrant, delightful graphics that tell a powerful story without being too literal. 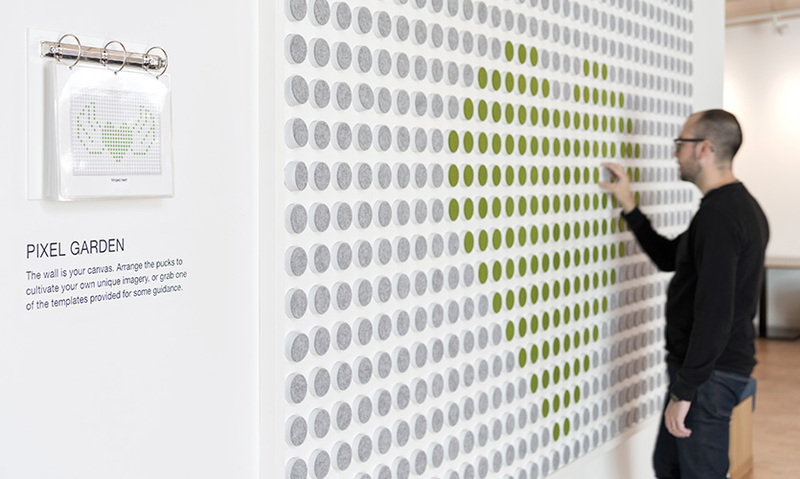 From more refined brand moments in the entry and lobby to quirkier moments appearing in cafes and the workplace zones, each area throughout the building, including restrooms and stairwells, was a graphic opportunity and a space for inspiration. The client challenged the design team to think differently about the workday experience for a predominantly millennial employee base whose roles range from engineering to sales and marketing. Stylistically, the graphics needed to be fresh with no two elements alike—the client requested variety over repetitive solutions from floor to floor. 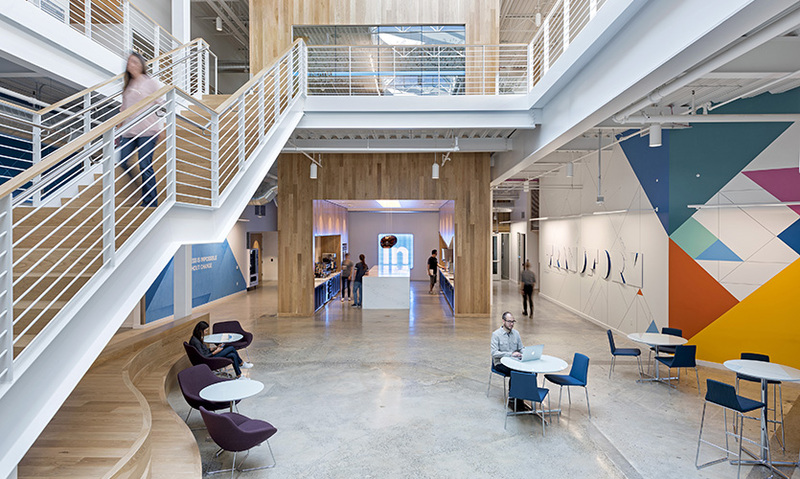 LinkedIn also asked for a fun and vibrant workplace that told the story of the company’s core values, mission and purpose, and that embodied the global nature of the organization. 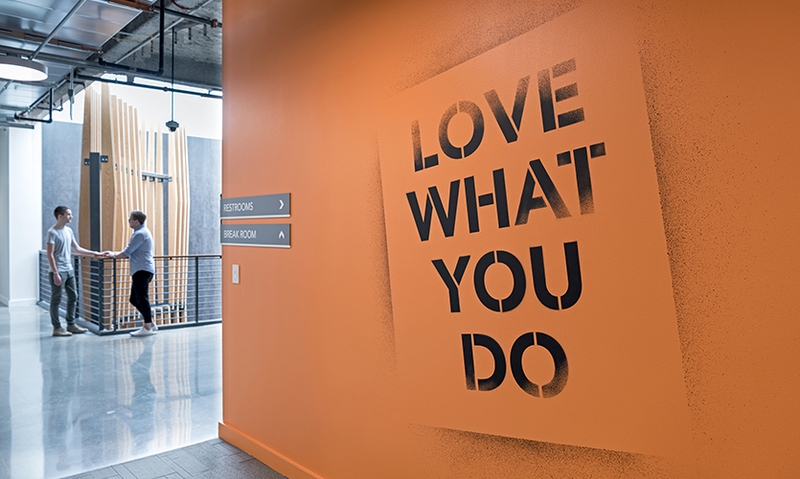 Every space in the building, from the café to the stairwells and the restrooms, was an opportunity to connect employees to the personality and mission of the organization.